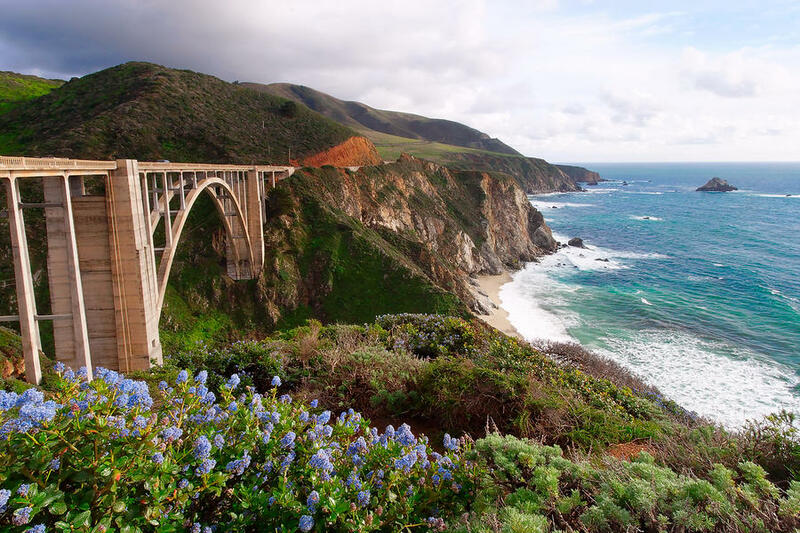 Well known for its stunning beauty, the unincorporated community of Big Sur lies along one of the most famous stretches of the Pacific coast. Big Sur’s northernmost tip is located four miles from Carmel at Point Lobos. Henry Miller– writer, artist, and one of Big Sur’s most famous residents–described the area as “….region where one is always conscious of eloquent science…the face of the Earth as the Creator intended it to look.” Big Sur’ main thoroughfare, Highway 1, offers many roadside turn-outs that overlook the majestic beauty of the coastline.